R. Douglas Williamson is the president and CEO of The Beacon Group. With more than 30 years of international business experience, Williamson has been actively involved in initiating positive, transformational change inside organizations of all sizes and across industries. 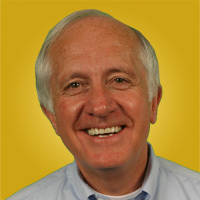 He is an in-demand consultant, thought and practice leader and speaker. Williamson is the author of Straight Talk on Leadership. His mission is to help executives and their organizations prepare the next generation of transformational leaders and ensure they are capable of navigating the path to a new tomorrow.